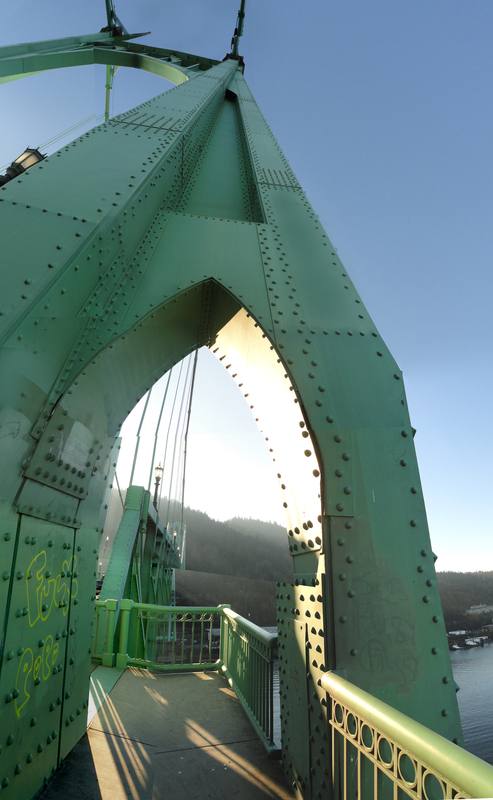 My visit to the St. Johns Bridge reminded me that I have a fear of heights. It’s the tallest bridge in the city with 400 foot Gothic towers and a 205 foot high road deck. 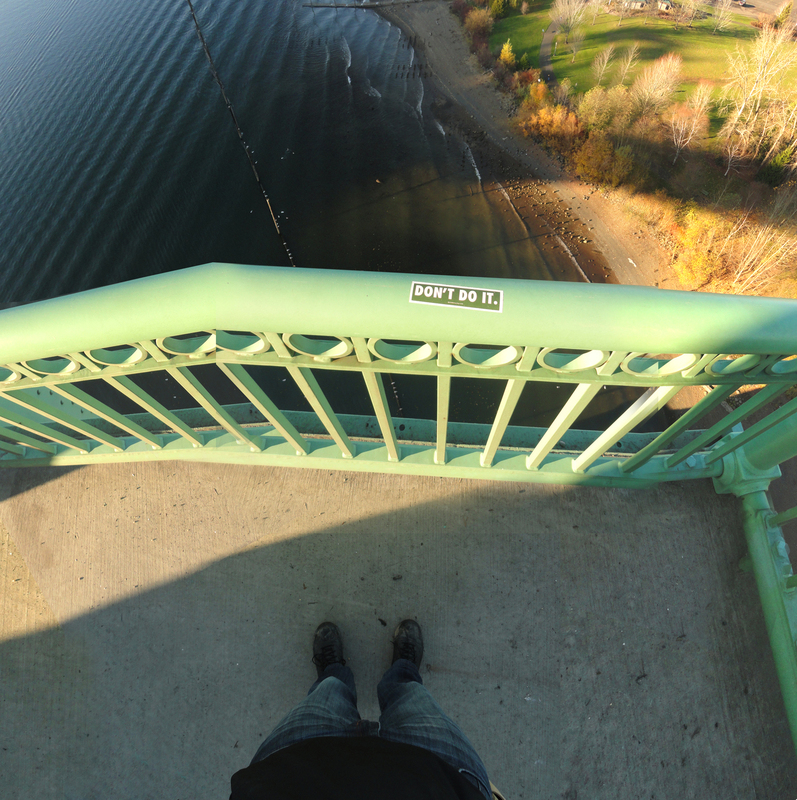 Walking across this span was a lengthy endeavor as well as a loud one, but the view makes it worth the effort. 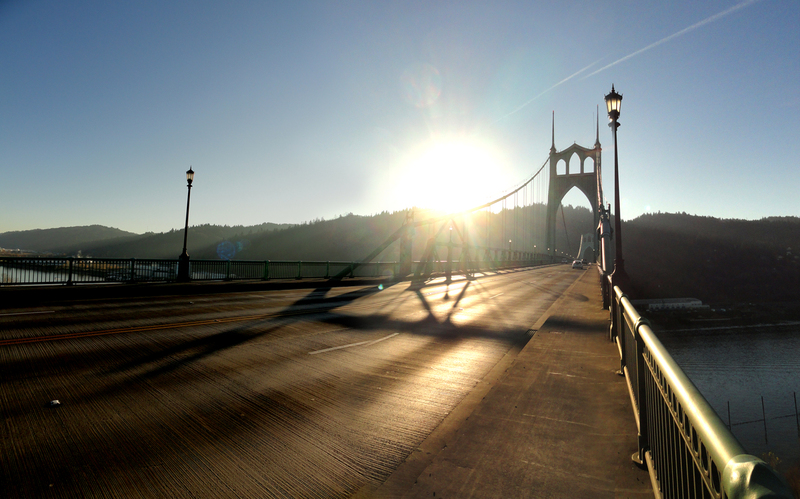 Cathedral Park is located at the base of the bridge on the East side. 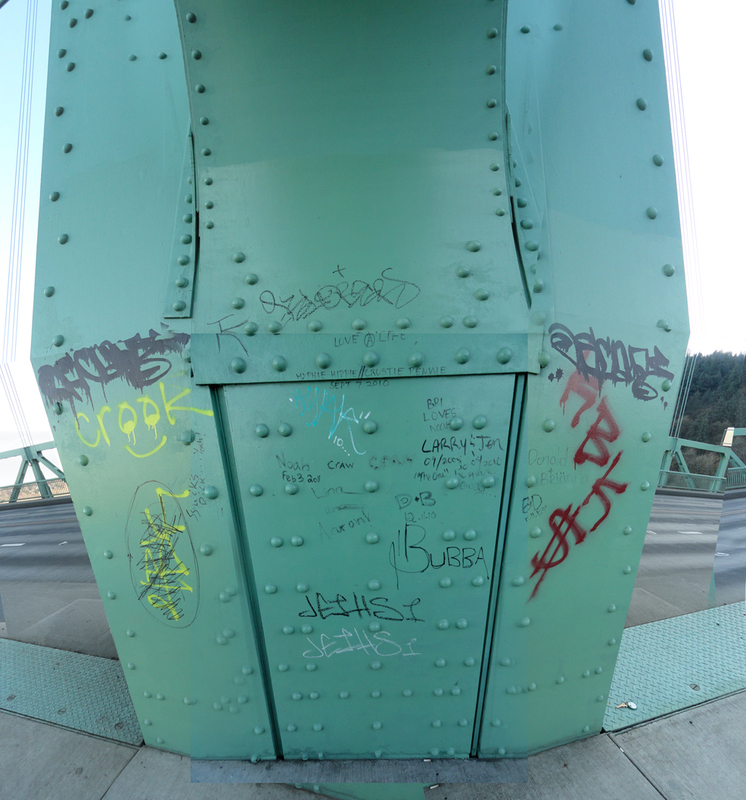 It never seems to be crowded and offers beautiful views of the bridge. 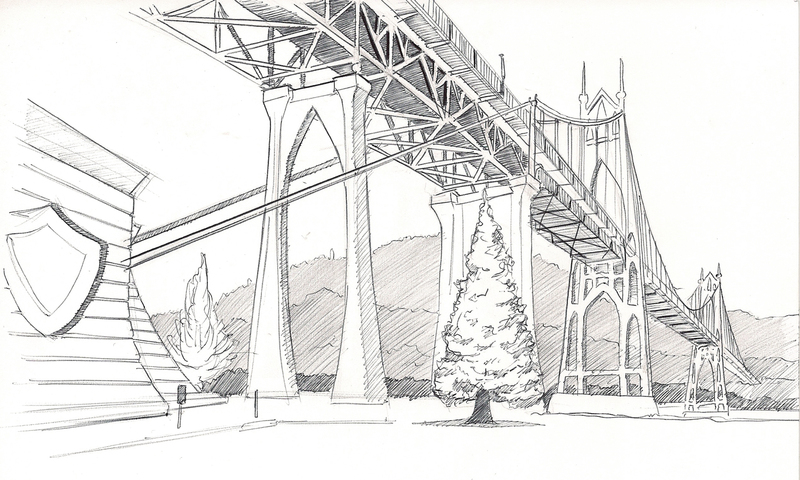 Love your sketches, especially the one of the Cathedral Bridge. 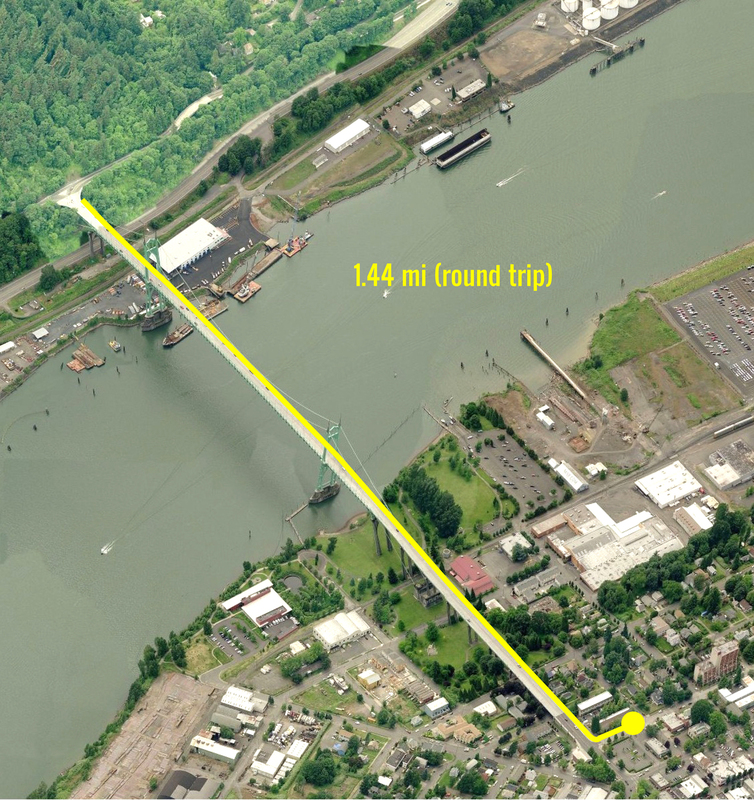 I am a teacher at Roosevelt High School in Portland and I am writing to request permission to use the St. Johns Bridge sketch on the cover of the student planner that we give to all students at no cost next fall. 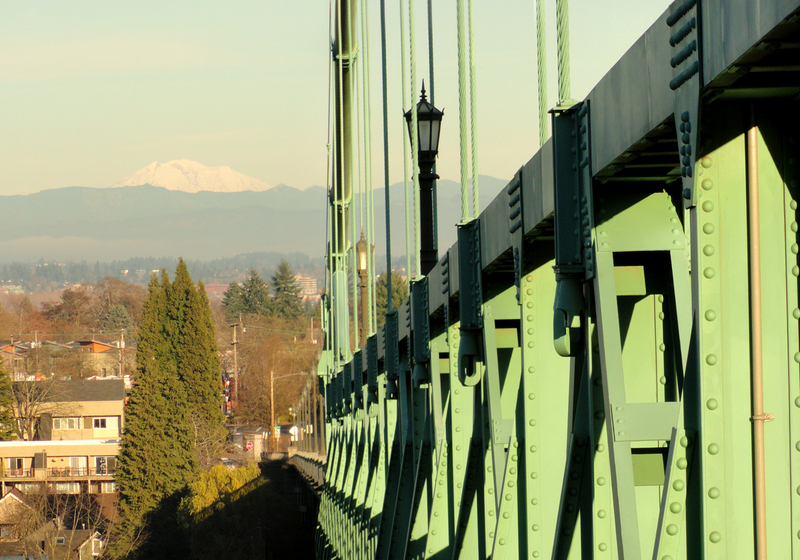 We wanted artwork that represents the St. Johns community, and the new logo of our school incorporates the St. Johns Bridge, which is why I am asking. Would you email me at rmelton(at)pps.net, or call our office at 503-916-5260 and ask for me or leave your contact information? Thanks so much for considering our request.